In the past, we have lamented the poor representation of microbes in natural history museums. 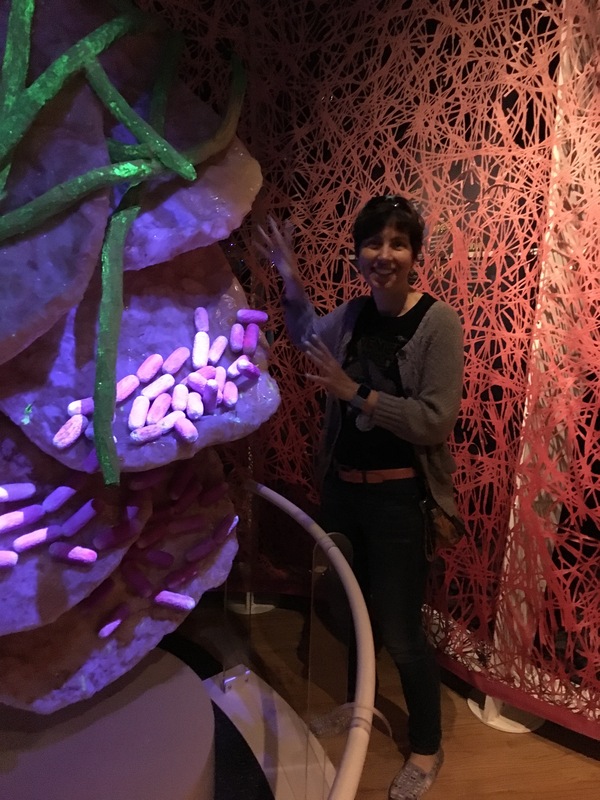 And so I must mention that there’s a wonderful microbiome exhibit currently on exhibit at the American Museum of Natural History in New York City. The Secret World Inside You, is a microbe related exhibit co-curated by Susan Perkins and Rob DeSalle, curators at the AMNH. The exhibition opened last fall and will remain on view until August 14, 2016. I had the opportunity to visit the exhibit last week and I highly recommend it if you find yourself in the area. 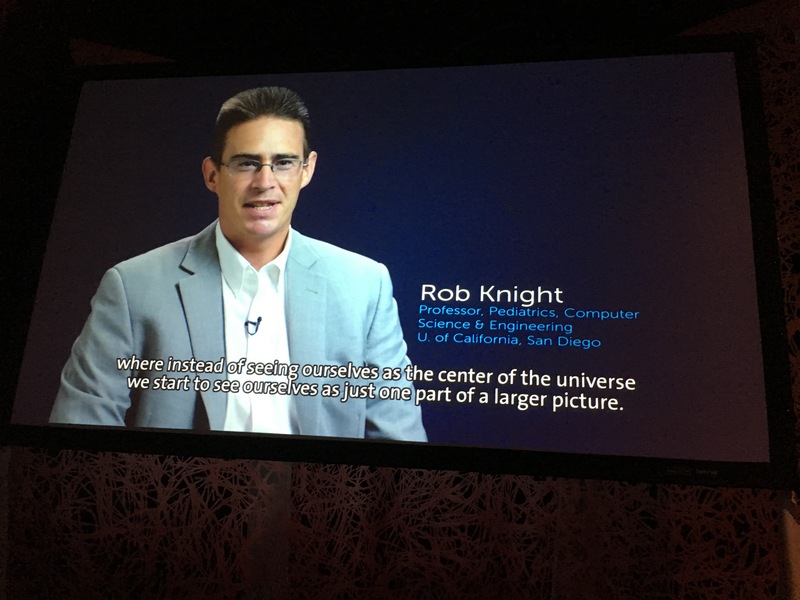 Then the exhibit moves to the North Carolina Museum of Natural History in Raleigh, NC next, so if you don’t make it to NYC, you may also be able to catch it there. We loved the giant, glowing bacteria! Help they are taking over! 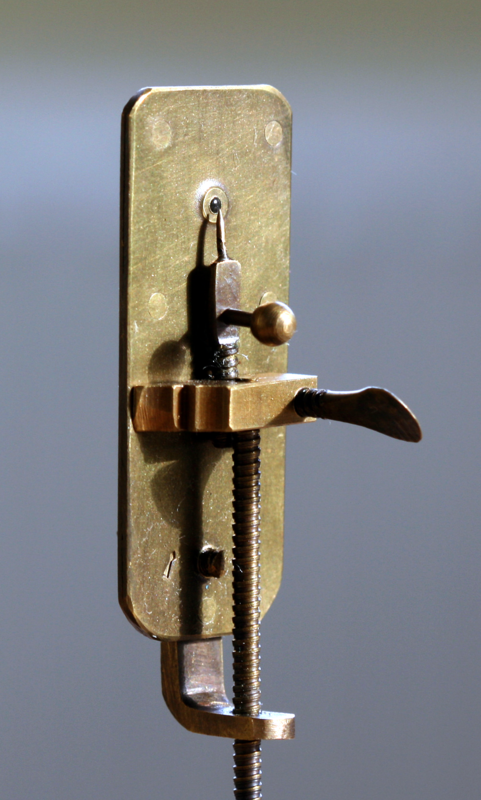 Another highlight was the classroom area where an expert answers questions and passes around a replica of Antonie van Leeuwenhoek‘s original microscope. 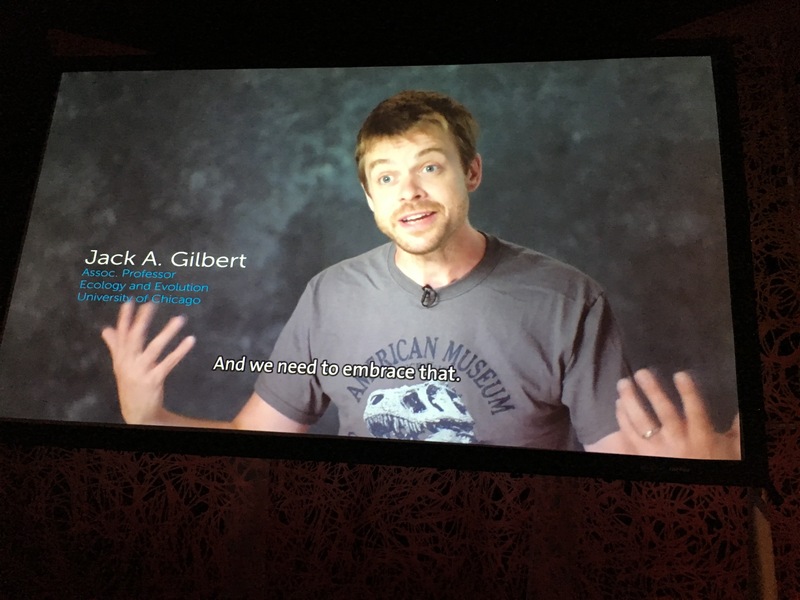 And they even talk about data showing that we share bacteria with dogs. There’s a video featuring some prominent members of MoBE community that’s almost as good as kittybiome‘s. 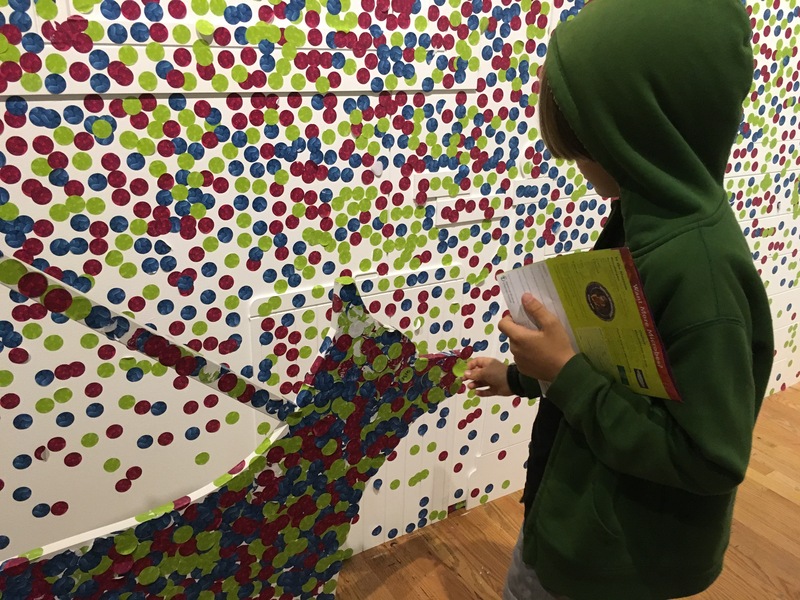 Towards the end, we got to share some sticker microbes with dogs and skateboarders. 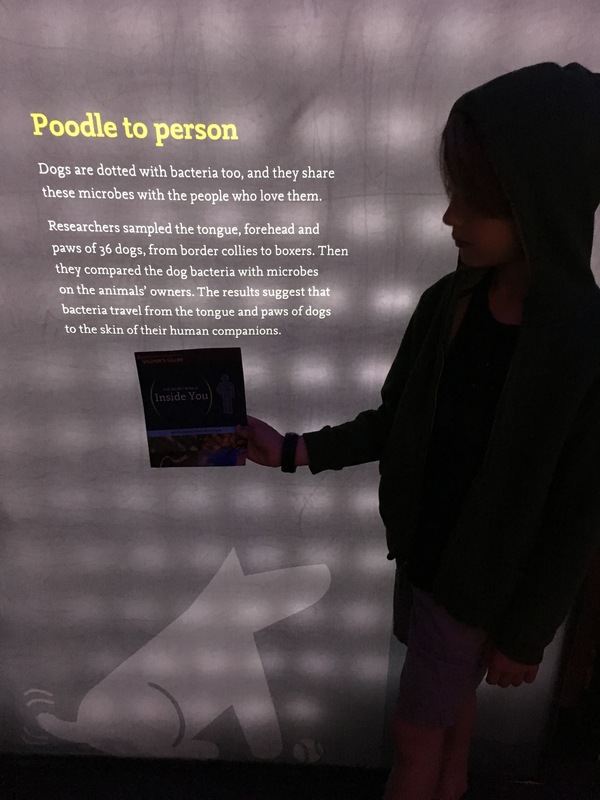 Of course we shared our microbes with the dog. 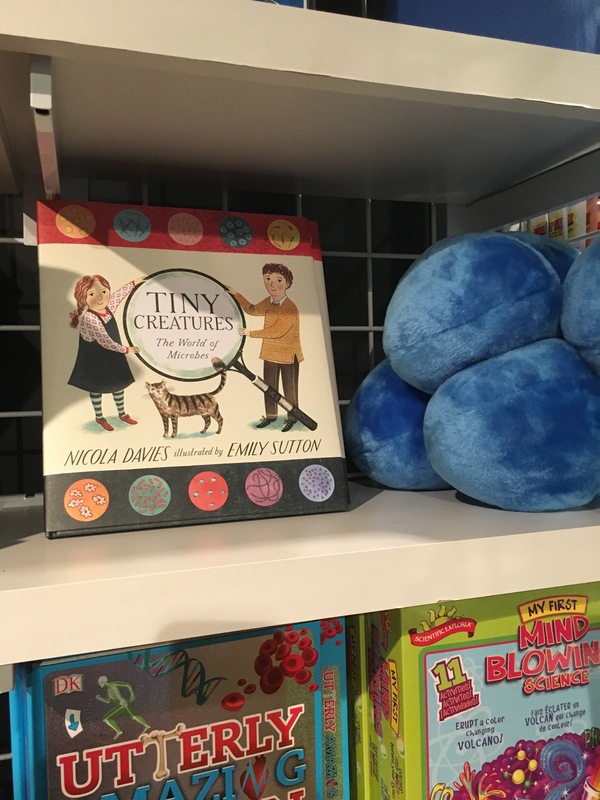 The bookstore has wonderful microbe related books and games and of course stuffed microbes.